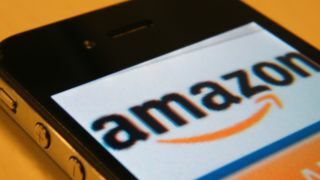 Amazon has imposed a £10 minimum spend in order to make use of its free Super Saver Delivery service, but luckily for us tech fans, music, Blu-ray and game purchases under a tenner are exempt. Previously, shoppers have been able to select a free option for countless items on Amazon's virtual shelves, but that all comes to an end as of, well, as of right now actually. It works as thus: If you want to buy a bumper bag of beef jerky for £4.62 then expect to be charged P&P, but if you wish to buy a £7 CD, a £9 game or an £8 Blu-ray you'll still get it delivered for nowt. However, If you wish to buy, for example, a book for a fiver and then a 3 quid HDMI cable at the same time, that bundle will still be free because it includes the book, Got it? Good. "For all other orders, a minimum total spend of £10 is now required to qualify for Free Super Saver Delivery," Amazon wrote in an email to UK customers on Tuesday. "Whilst the change will affect only a very small proportion of orders, it will allow us to offer you a significantly expanded selection of lower priced products." The move might be a boost for independent brick and mortar retailers who've struggled to compete with Amazon's cheaper prices and free delivery offerings. Now Amazon will be charging an extra couple of quid for some cheaper items, it might work out for shoppers to pop into their local store instead. Amazon also emphasised that £49 a year Amazon Prime customers will still get free delivery on all eligible items.